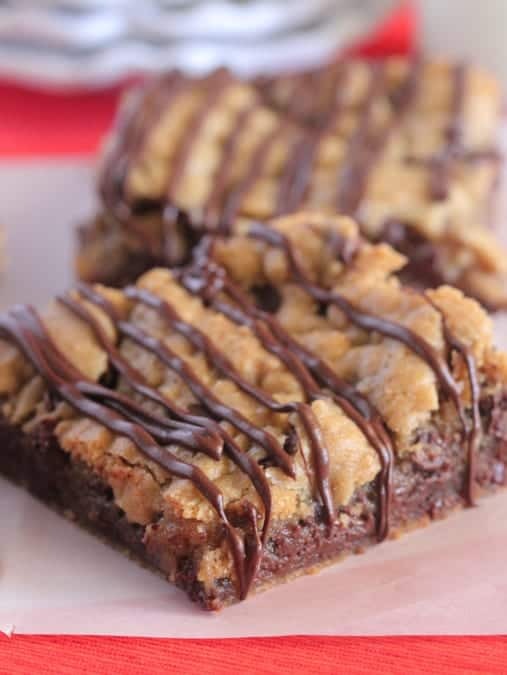 Treat yourself to these Chocolate Chip Cookie Bars, ooey gooey fantastic! So excited to share a recipe from my friend Kathy of Panini Happy’s newest cookbook The 8×8 Cookbook: Square Meals for Weeknight Family Dinners, Desserts and More-In One Perfect 8×8-inch Dish. Recipes such as Honey-Glazed Chicken with Root Vegetables and Orange Custard French Toast, this book is a must have! 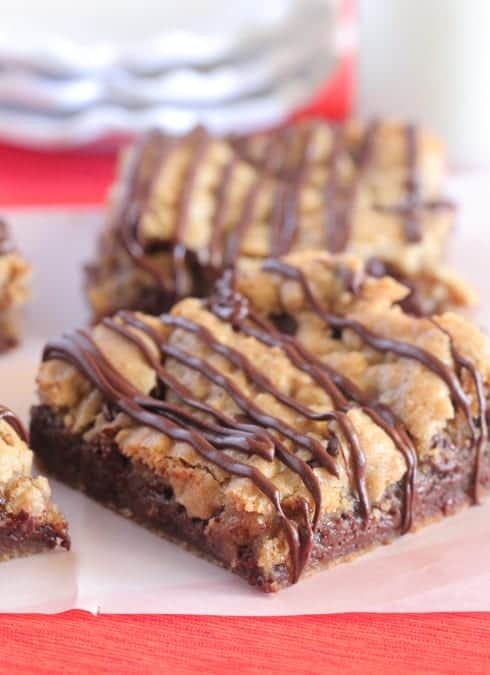 As you can see, these are drop dead gorgeous bars that are just begging to be made. 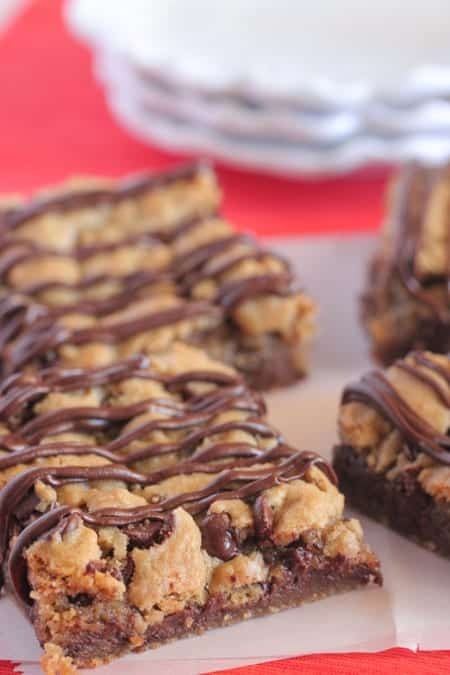 You can whip these beautiful cookie bars up in about 5 minutes and they bake for close to 30. 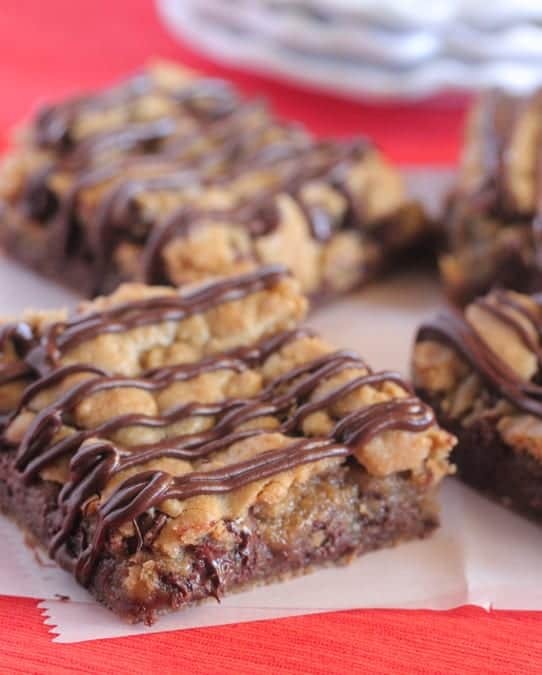 The hardest part is waiting for the bars to cool so you can cut them into squares and drizzle with chocolate! I might have cut into them while they were still…..a little warm. That chocolate!!! Enjoy friends! Heat oven to 350 degrees F. Line an 8×8 inch metal baking pan with parchment paper. Beat the butter and both sugars together for several minutes until they’re light and fluffy, either with an electric mixer or by hand with a wooden spoon in a large bowl. Beat in the egg and vanilla until they’re well combined. Separately, whisk together the flour, baking soda, and salt in a medium bowl. Add the dry ingredients to the wet ingredients and mix until they’re well combined. Fold in 1 cup of the chocolate chips. Pour the dough into the prepared pan, spreading it to the edges and corners. Bake until the bars are fully set and lightly browned on top, about 25 minutes. Allow them to cool completely in the pan on a cooling rack. In a small microwave-safe bowl, heat the remaining chocolate chips in the microwave at 50% power in 30 second increments, stirring after each heating, until they’re fully melted. 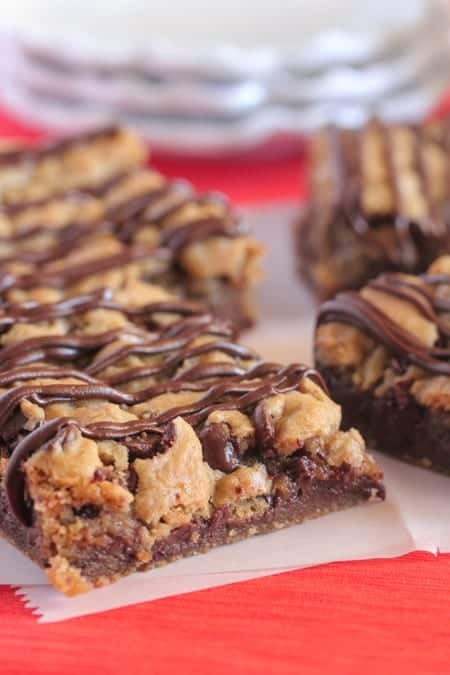 Drill the melted chocolate over the cooled cookie bars before cutting and serving. Be sure to check out these other amazing recipes from my friends! Could these possibly look any yummier! Love them! These are HOT~ I’m going to have to wear my sunglasses wearing these. Maybe I should go ahead and impress my coworkers with these bad boys. Thanks for sharing. How wonderful that she has a new cookbook!!! And I LOVE these bars!!!! The links to others’ recipes are working. I tried the ones for everything but the chocolate items (because I have so many of those recipes already LOL). Ill take mine with a glass of milk please! I can’t think of much that would be better than this. OM NOM NOM! So gooey and delicious! I need to bake these soon! oh my! chocolate gooey delicious-ness! heck yes! 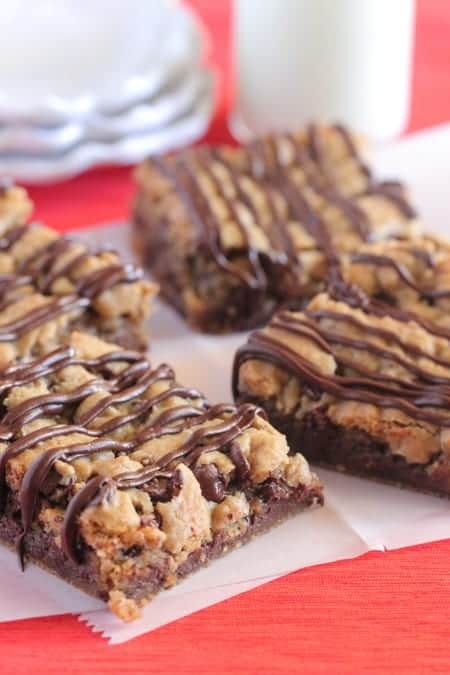 Yup, I need to make these asap! soooo good! love all that chocolate! Looks yummy! Can this recipe be doubled and baked in a 9 x 13 pan? I have made them with and without the chocolate drizzle. We preferred them without (little too sweet for us with drizzle) but shared with friends who loved the ones with the chocolate drizzle. Either way, these are a winner and I will make again and again! Thank you all for sharing the recipe! 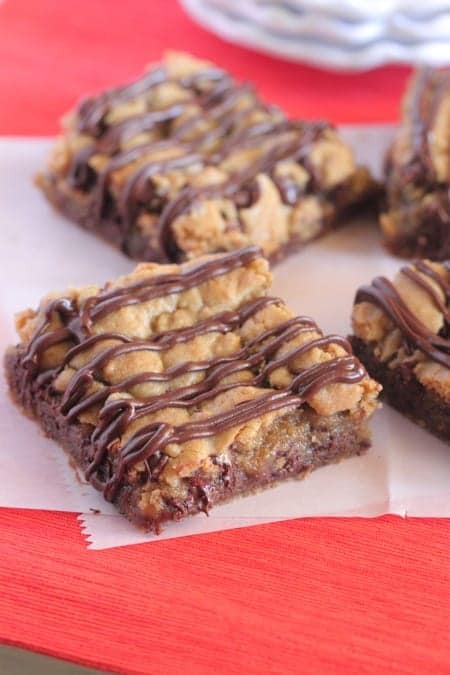 These look so ooey-gooey delicious!! So happy for you Kathy! Your new book is beautiful!!! These look delicious. Has anyone actually baked them and tried them though? How were they? These bars are begging to be made! They are so chocolatey I wish I had one right now! 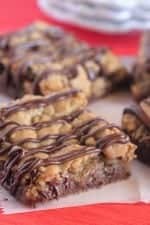 Hello,I log on to your blogs named “Chocolate Chip Cookie Bars – Picky Palate” like every week.Your humoristic style is awesome, keep doing what you’re doing! And you can look our website about powerful love spells. do you think these can be easily doubled? and put in 9×13 pan? Could you double the ingredient and put Iin a 9×13 pan?